Coincidentally, I’ve been catching up with and revisiting Truffaut on my own lately. It started when I was putting together a birthday tribute to the French actress Francois Dorleac in March. Dorleac worked with several legendary European filmmakers in her brief but notable career – Philippe de Broca, Jacques Demy, Roman Polanski, Ken Russell - and Truffaut. I'd seen Polanski's Cul-de-sac (1966), Demy's The Young Girls of Rochefort (1967), and set out to find de Broca's That Man from Rio (1964), Russell's Billion Dollar Brain (1967) and Truffaut's The Soft Skin (1964). I’m still looking for That Man from Rio, but did manage to get my hands on Billion Dollar Brain and The Soft Skin. The Soft Skin has never been one of Truffaut’s better known films. When it screened at Cannes in 1964, the crowd booed and, in its time, the film was generally dismissed as conventional and disappointing. Following as it did on the heels of his innovative and much-admired earlier works - The 400 Blows (1959), Shoot the Piano Player (1960) and Jules and Jim (1962) - The Soft Skin was derided by some as Truffaut’s bid for mainstream acceptance. Stuffy New York Times film critic Bosley Crowther, who famously fell badly out of step with the times in the ‘60s, called it “a curiously crude and hackneyed drama.” However, as so often happens, with the passage of years came reassessment and The Soft Skin, though still relatively obscure among Truffaut’s films, has gained a reputation among film buffs as one of his stronger efforts. A deceptively straightforward but suspenseful modern domestic drama, it deals with the sudden and ardent extramarital affair of a celebrated literary scholar, and features affecting performances by its two stars - Jean Desailly as the besotted intellectual and Francois Dorleac as the beautiful young thing of a flight attendant who turns his well-ordered life upside down. Georges Delerue, the award-winning composer who scored 11 Truffaut films, composed a striking score evocative of the frantic pace and emotional disconnect that marked the Space Age. 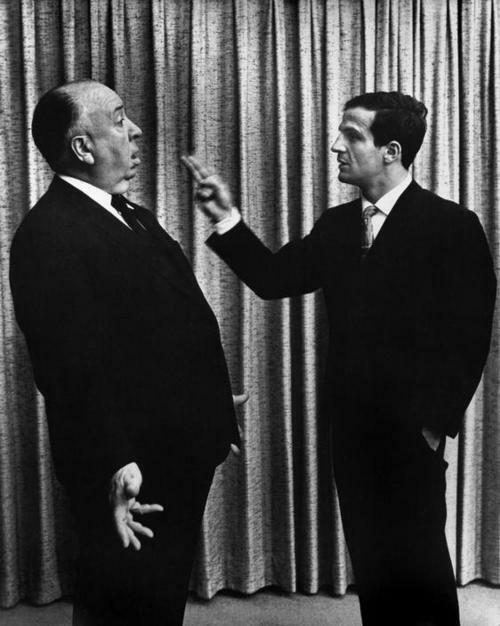 The Soft Skin was the first of four films in what is known as Truffaut’s “Hitchcock cycle,” a group of films he was working on at the time he conducted and published his now-famous interviews with the Master of Suspense, each of which reflects Hitchcock's influence. The Soft Skin was followed in the cycle by Fahrenheit 451 (1966), The Bride Wore Black (1968) and Mississippi Mermaid (1969). All but Fahrenheit 451 will be screened on TCM this month. In June, when it aired as part of another TCM Friday Night Spotlight series, I recorded Shoot the Piano Player, Truffaut’s inventive and completely charming New Wave classic. Unpredictable, by turns comic and tragic, its special charms are accentuated by a charismatic and perfectly cast star, Charles Aznavour, and Delerue’s infectious, jazzy score. I found it irresistible and watched it twice in a sitting. 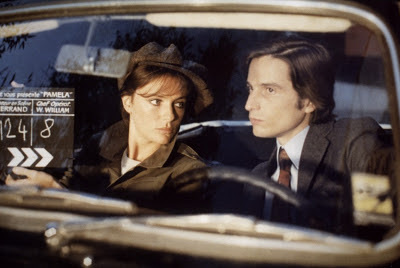 This put me in the mood for yet more Truffaut, and I very soon revisited one of his early ‘70s classics, Oscar winner for Best Foreign Language Film, Day for Night (1973), a delightful celluloid homage to filmmaking, the great love of Truffaut's life. TCM's Friday night series includes 21 Truffaut films, from The 400 Blows, his first feature, to his very last, Confidentially Yours (1983). See full program schedule below. Click here to read Martin Scorsese’s moving tribute to Francois Truffaut for TCM in his current “Scorsese Screens” column. The Man Who Loved Women (1977) stars Charles Denner as Bertrand, a compulsive womanizer whose skirt-chasing has fateful consequences, with Brigitte Fossey and Leslie Caron. I still have some catching up to do with Truffaut though I have seen SHOOT THE PIANO PLAYER,, MISSISSIPPI MERMAID,DAY FOR NIGHT, JULES & JIM, THE BRIDE WORE BLACK, THE 400 BLOWS and FARENHEIT 451. I've seen about half of the films on the TCM schedule, John, and am anticipating watching all of them again as much as I am those I haven't seen before. Really looking forward to the Doinel films all at once tonight. Truffaut is my favorite French filmmaker and this is another time I'm way too jealous because I don't have TCM. Anyway, some Truffaut films are airing her in June and maybe I'll have a chance to watch one new to me. You're right, The Soft Skin is very unusual in hsi career, at least considering his prior films. He got more Hitchcockian with time. Lê, It seems criminal to me that you don't have TCM, much as you love the classics. I haven't seen Mississippi Mermaid yet, but of the "Hitchcock cycle" films I have seen, The Bride Wore Black seems the most obviously Hitchcockian. 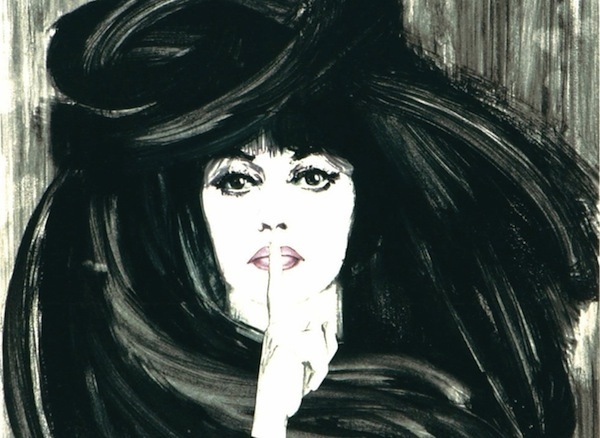 Loved it when I first saw it - my introduction to Jeanne Moreau. Lady Eve - thanks for the preview of these excellent Truffaut films. While I saw many of them in my youth I need to catch up again and see some of the illusive ones too. I taped Shoot the Piano Player also,not having seen it since it came out, but I've yet to get to the DVR. As you indicate, these films will be a treat. Christian, Truffaut films were art/revival house staples in my youth and I saw many of them then - and haven't seen most of those since. The Last Metro pops up on TV from time to time, but the others, rarely. I'm very pleased with TCM for scheduling the Truffaut Friday night spotlight just as I started revisiting him. I'm stoked that there's going to be all of those Truffaut films that's coming in July as I've seen all of the Antoine Doinel films as well as The Bride Wore Black, The Last Metro, The Wild Child, and a short he did before The 400 Blows. I'm going to DVR the ones I haven't seen as he is now likely to become a future Auteurs subject for 2014. My DVR is going be working overtime on Friday nights (starting in a little over an hour) this month - recording what I've seen and what I haven't. Most curious about the ones I haven't seen, of course: Mississippi Mermaid (Deneuve and Belmondo + it's a Hitchcock cycle film), The Green Room, The Woman Next Door and Confidentially Yours, plus the short films. 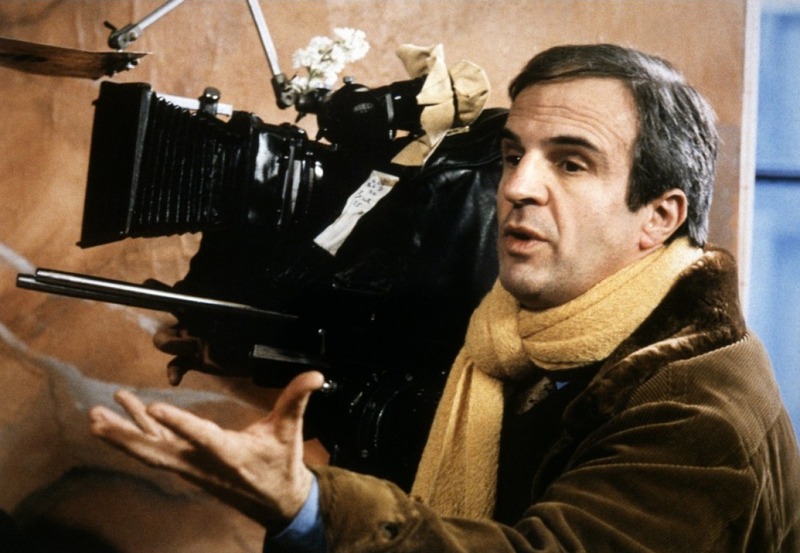 If you blog on Truffaut, let me know, would love to get your take. I have really been looking forward to seeing some of Truffaut films. I'm just now learning about him.. Dawn, Hope you're enjoying getting acquainted with Francois Truffaut. It was so much fun seeing The 400 Blows, Antoine and Collette, Stolen Kisses and Bed and Board in succession last night. This morning, Love on the Run. And some of his best work is still yet to come. Thanks for the tip, Eve - I'm definitely going to record "The Soft Skin". Many of the listed films I saw in my callow youth, so they will be well worth checking out again. MCB - It's a great line up and I'm recording everything. 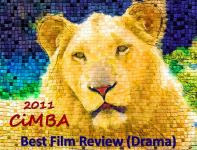 It's an interesting experience to see a film first viewed in youth after some decades have passed. I enjoyed watching several of Truffaut's films in a row (last night) and being thoroughly immersed in his style and themes. I am so there. I am woefully deficient in my foreign film knowledge. There are so many of these films I want to see! Chick, I love that TCM is airing more foreign films - and stars - of late. A couple of months ago several Alain Delon films were shown back-to-back and Catherine Deneuve will soon have her day as part of SUTS 2013. Hope you enjoy all the Truffaut - there is a gentleness in his work combined with sharp intelligence that is unique and very appealing. Thanks for publicizing these films, Eve. Our French conversation group has decided to host a series of Truffaut movie nights at a local university in Fort Wayne, Indiana, this month. We have linked to you on our Web site. Greg, What a wonderful idea for your group to host a Truffaut series - and thanks for linking me to your site. I'm having the same kind of summer, Ruth, and my DVR is getting dangerously full...awfully glad this post inspires you to record some Truffaut on TCM - enjoy! Thanks for posting on the Truffaut Festival at TCM! I have been beside myself. Truffaut was a big thing for me in my film school days, but there are so many of his more obscure films I've never seen. The last few Fridays have been bliss. Your post is a lot easier to navigate than the TCM schedule I get by email, and they don't have plot synopsis. So thanks for the service, alerting us all to this terrific filmmaker's works. Especially looking forward to seeing Caron in "The Man Who Loved Women." Ken, I've been enjoying TCM's new Friday night spotlight series, but this month's spotlight on Truffaut is the best yet. TCM deserves a huge thank you for treating us to almost all of his films in the space of a month.